My name is Mikkel and I live in Denmark, where I was born and raised. 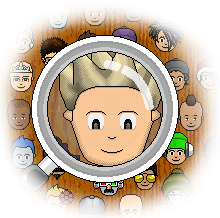 I've been playing Habbo since early 2007 and has been part of the fansite community for about three years. I work at the largest and oldest Danish fansite, "ShockNews", where I am in the management working with some of the most experienced Danish fansite fanatics. 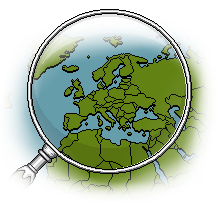 Love your graphics on this page, especially the magnifying glass! ShockNews is, as I described, an old Danish official fansite. The site has recently become a link partner with puhekupla, which is a fansite, we deeply respect and often uses.